After a hectic couple of months late last year on the Samsung Gear S3 deal front, things have been much quieter lately, at least as far as discounts on brand-new units are concerned. But the popular 2016-released smartwatch is now on sale again at Costco exclusively for members of the warehouse club chain. You can get a 46mm Gear S3 Frontier in dark gray at only $189.99 until February 7, either with free shipping and an estimated delivery time of 3 to 5 business days or in person after opting for warehouse pick up on Costco’s official website. While the marked-down price is listed as merely including $80 “manufacturer’s savings”, Samsung used to sell this Android and iOS-compatible bad boy for as much as $299.99, which means you’re technically looking at an even heftier $110 discount. 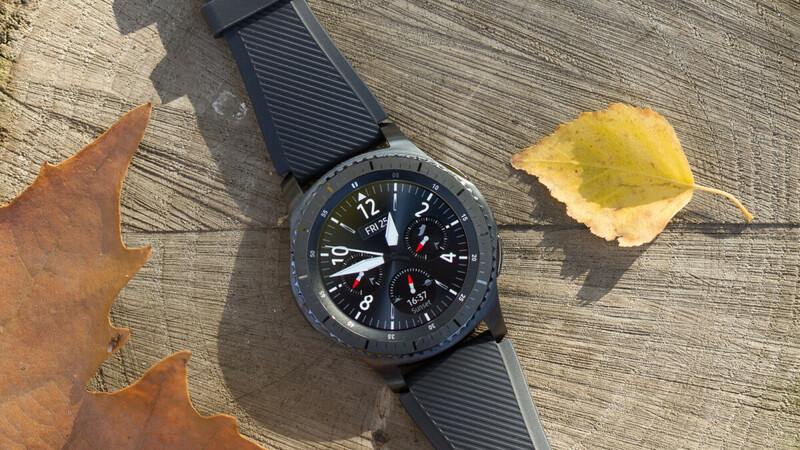 Then again, the Gear S3 Frontier is currently available for $229.99 through both Samsung.com and third-party retailers like Best Buy, so compared to that, you’re only saving 40 bucks. Technically, this is not a new all-time low price for the Gear S3 either, but it’s been a while since Black Friday, when we last saw it sold for $190 brand-new, unused, and untouched, with a standard warranty also included. Perhaps more importantly, Samsung is reportedly gearing up to unveil its third smartwatch after the Gear S3, which makes us wonder how much longer this thing will stick around. Unlike similarly “mature” Galaxy phones, the Gear S3 Frontier is still being frequently updated with big and small software revisions. Its hardware has aged well too, including a beautiful 1.3-inch AMOLED display with 360 x 360 resolution, respectable dual-core Exynos 7270 processor, 768MB RAM, 4 gigs of internal storage space, a large 380 mAh battery, standalone GPS and NFC support, IP68 water resistance, a heart rate monitor, accelerometer, gyroscope, and barometer. That may not sound impressive for $230 or $250, but it’s an essentially unbeatable list of features at $189.99. Is that with MST support?